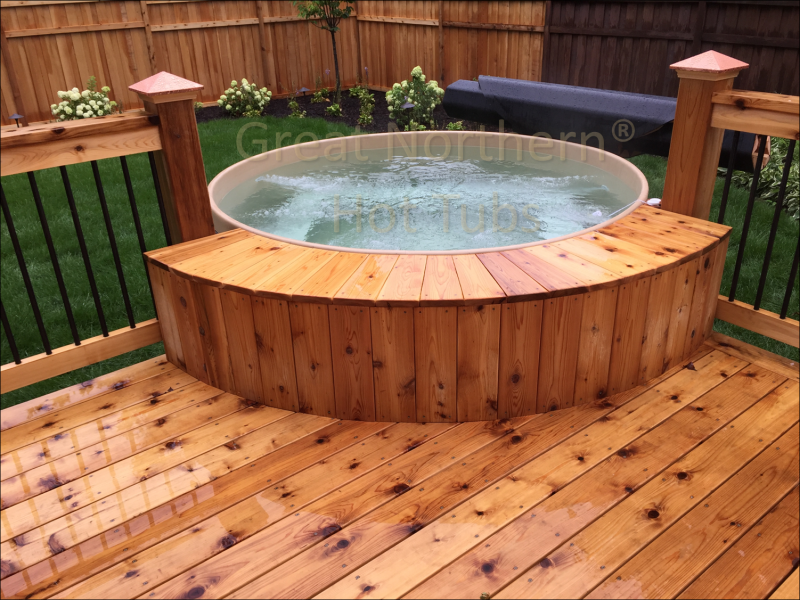 Cedar hot tub compliments new deck in St Paul, MN. This St. Paul family created a welcoming backyard environment by designed their new deck around our 7'x44" Rubadub Tub®. The deck, hot tub and new landscaping combine for a magnificent result.